I’m sitting in Union Station in Washington D.C., waiting for my sister to arrive on the train from New York. I can finally tear myself away from my twitter feed, having just found out that #TMC18 will be in Cleveland. It was hard leaving early, but reading the#TMC17 twitter feed (or rather, watching it fly by at lightning speed) kept the feeling of the conference with me as my train sped along – albeit delayed – from Atlanta to DC. My head and heart were so full when I left the conference Saturday afternoon, that I was exhausted. I began to make a list of places/people/events/meals so I wouldn’t forget anything when I was ready to write my reflective post, but the list quickly overwhelmed me. So I’ll just do my best to remember. The backdrop (fortunately or not) for this year’s Twitter Math Camp was an online debate about the hashtag #MTBoS, which is an organically evolved acronym for the Math Twitter Blogosphere. I’m not going to jump into the fray, although it’s been alternately entertaining, infuriating, and painful to watch, but I want to say this: out of what I will not exaggeratedly refer to as desperation for professional connection, I jumped into the fray in 2013. I blogged somewhat timidly, lurked frequently, and was blown away by my first participation in #geomchat – a weekend morning chat for Geometry teachers. My twitter feed (which I had learned to set up thanks to David Wees’s videos to which I can no longer find the link) flew by with comments and questions from like-minded teachers across the country, and most likely from Canada, the UK, and Australia as well. I was speechlessly joyful – I’d found gold. I went to #TMC13 in Philadelphia not knowing a soul, and I was pretty terrified. What I found was this: a warm and welcoming community, one which I could join or withdraw from as I needed, and one which welcomed me when I returned, without reservation. Over the last five years, I have had weeks (months) where I have had to remove myself from the online chatter, and other times where I have reached out with questions about teaching, content, ethics, and equity, always to find someone willing to talk. I get out of this community what I put into it. And even though I didn’t wear one of Sam Shah’s wonderful “Adorably Shy” buttons at TMC17, I consider myself one of those folk (although not necessarily adorable). Every conference I attend, every talk in which I participate is something of a personal struggle. I learned a long time ago that I am responsible for me (or as Annie says, “You do you”). 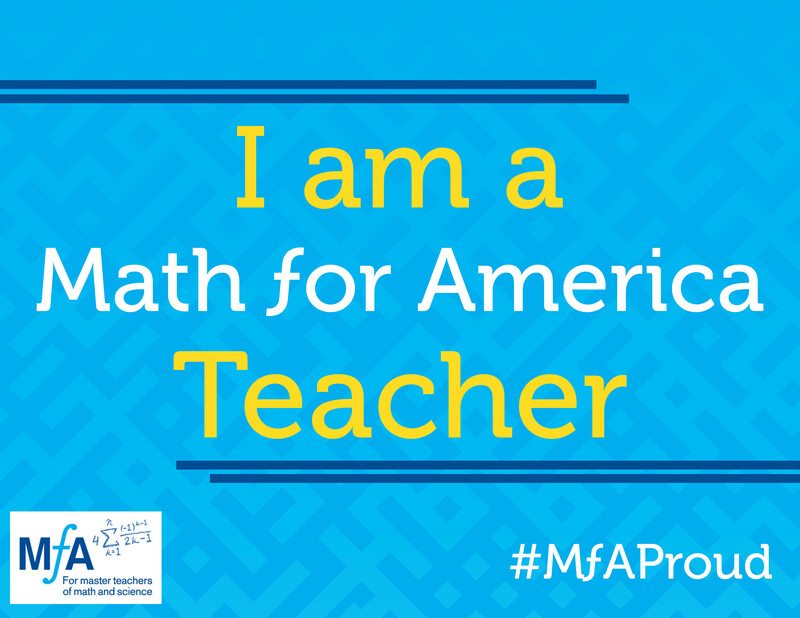 The #MTBoS in its many forms – chats, blogs, tweets, conference gatherings – is greater than the sum of its parts. I am grateful that it is there for me. But it doesn’t owe me anything. I arrived in Atlanta early on Tuesday, and after picking up my rental car, went in search of coffee (always). Trusty Google Maps sent me to Octane Coffee, which happened to be on the grounds of the Woodruff Arts Center, and even more fortuitously, across a sculpture-strewn garden path from the High Art Museum, currently featuring an exhibit of 250 Andy Warhol prints. The coffee was great, too. visiting. We ate dinner at the surprisingly healthy cafe at the aquarium, and returned to the hotel to find #TMC17 participants filling up the multiple gathering spaces around the hotel lobby. The reunion began. From that point on, #TMC17 became camp in the best sense of the word – the opportunity to be with friends, learning, playing, and dining. Every different workshop, activity and meal found me in the midst of even more people I knew or wanted to get to know. Reunions with people I hadn’t seen since Philadelphia, tweeps I had never met in person, and new colleagues/tweeps/friends. Here’s a secret: I was seized by ambivalence the week before I left for Atlanta. Traveling overnight by train, rooming with someone new, running a workshop, maybe I just wasn’t ENTHUSIASTIC ENOUGH for the TMC lovefest. But from the moment I connected with my aquarium buds in the lobby of the hotel until I dropped my final riders off on Saturday afternoon, I felt embraced and accepted – whoever or whatever I am – it’s ENOUGH. And that seems to be the overriding message – one that I hear loud and clear even though sadly I was not able to stay for Lisa Henry’s closing remarks. It strikes me that at this point in my life such insecurity is silly, and maybe even unbecoming. Old habits and feelings die very hard – sometimes you are still THAT kid. But my experience in Atlanta this summer is something I will treasure, because I rejoice in being found wrong. Great post and reflections Wendy! I enjoyed meeting you and talking to you-I hope you enjoy teaching computer science this year! Thanks for reading, Tara – the feeling is quite mutual. Enjoy the rest of your summer!